Small, local markets pop up on Saturday and Sunday mornings across the island, but the largest is the Sunday morning flea market in Teguise, which attracts coachloads of visitors from across the island. A quieter alternative is La Recover Market in Arrecife, which opens every morning except Sunday. Here shoppers will find artisan workshops and local souvenirs, with a flea market added on every Saturday. Another local bazaar worth checking out is the Haría Saturday morning market, which takes place in a leafy plaza in the centre of town. Canarian basketry, embroidered lace, Malvasía wine, aloe vera products and anything bearing the designs of Cesar Manrique are the island's most popular souvenirs. With no VAT on the island, alcohol and tobacco are also favourite purchases and you'll get far better prices in shops and supermarkets than at the airport. Electrical stores are ubiquitous on the island with some commercial centres being almost entirely dedicated to them. Unfortunately, cheap, faulty copies abound. It pays to research UK prices before you arrive and if it seems to be good to be true, it probably is. Ensure goods are fully functioning and check guarantees and instructions thoroughly before leaving the shop. The largest commercial centres can be found in Playa Honda and Puerto del Carmen, where fashion outlets and hypermarkets abound. More stylish and upmarket shops can be found at the Rubicon Marina in Playa Blanca, where you'll find quality local crafts along with designer labels. Most resorts offer a decent range of retail outlets providing everything holidaymakers are likely to need. Lanzarote falls outside of the EU duty free allowances at Customs. Check allowances carefully to avoid paying unexpected duty on arrival back in the UK. Monday to Saturday 0930-1330 and 1700-1900 are the usual hours, though Commercial Centres and shops in tourist areas tend to stay open all day until 2200. Most shops are closed on Sunday. By Tenerife and Gran Canaria’s standards, Lanzarote's nightlife is less raucous. Those who hanker after a hard drinking, hip-shaking night on the tiles should head to Puerto Del Carmen, where Avenida de Las Playas, Centro Atlantico and Los Pocillos offer bountiful cabaret clubs, karaoke bars and live music. As far as the local hedonists are concerned, Arrecife is where it's at. Weekends see Calle José Antonio buzzing with the Latino beat emanating from its numerous bars and clubs. Drinks are cheaper than in the resorts, but with hours being strictly Spanish, a disco nap is in order to ensure you've got the energy to stay the course. 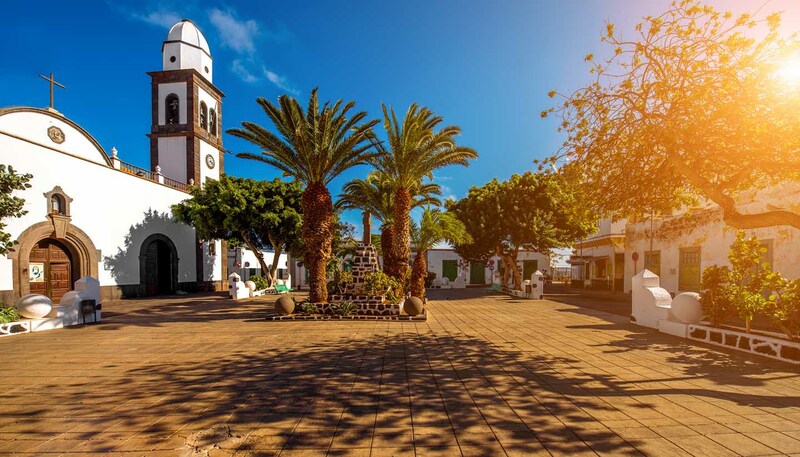 Costa Teguise is a more family-oriented scene with plenty of karaoke and entertainment bars lining the top of Playa Las Cucharas, while Pueblo Marinero provides pubs for the ex-pat population and visitors alike. The Lively Lady Show Bar on Avenida Islas Canaria puts on an excellent drag night. In Playa Blanca everything is that little bit more laidback and the evening's entertainment tends to revolve around Marina Rubicon’s upmarket restaurants.